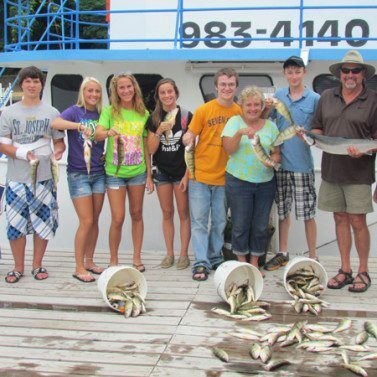 We help thousands of people in experiencing incredible fishing trips every single year. 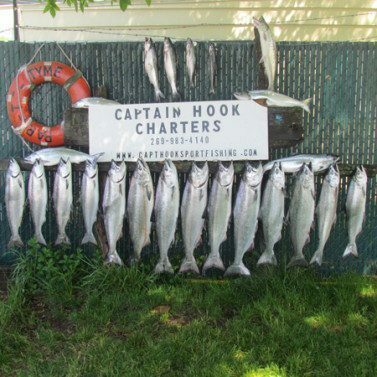 Our fleet of boats has been specifically selected according to our long experience of charters to make your trip happy and memorable! Captain Dale Ender and his son Kevin took their first charter out in 1980. From the success of these small steps, our relationship with Lake Michigan has grown to be something one of a kind. Nobody knows the Lake better than us. 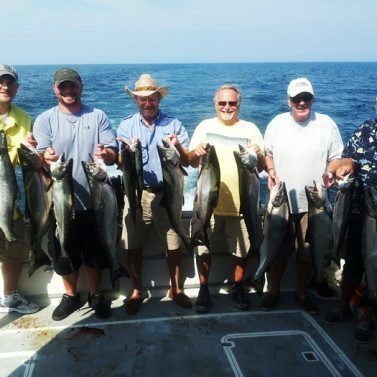 boat fishing with others or on a private boat fishing for salmon or perch, we have options for every fisherman. 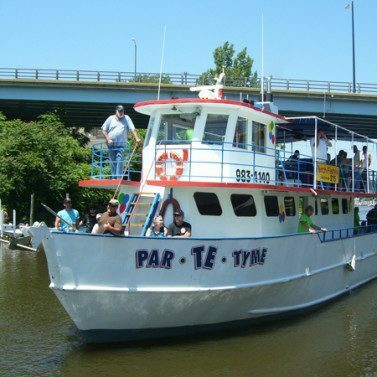 Hop aboard our 60' PAR-TE-TYME ship, one of the largest private fishing vessels on the St Joseph river and Lake Michigan. With air conditioning, heat, snack bar, restrooms and a viewing deck she is the pride of the fishing fleet. 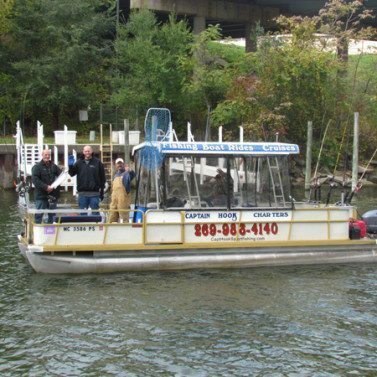 Gary C: I had a great time aboard the Par-Te-Tyme. The crew was great, very helpful and enthusiastic group! I caught plenty of fish..